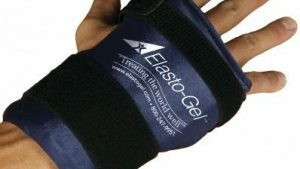 Designed to aid those with hand pain, the Elasto-Gel Hot/Cold Therapy Mitten helps with both acute and chronic pain. Conveniently shaped like a mitten, the hot/cold pack bathes the hand with soothing relief. 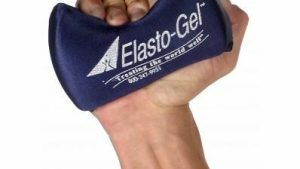 To treat acute hand pain, use the Elasto-Gel Mitten as cold therapy (crypto therapy). 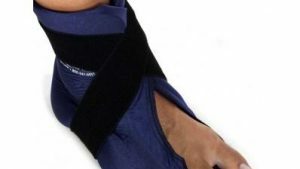 The cold pack will reduce the swelling and inflammation, meaning less pain. 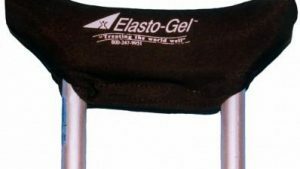 The Elasto-Gel Mitten can be used in cold treatments for 20-40 minutes per application. When not in use, the mitten can be stored in the freezer indefinitely. 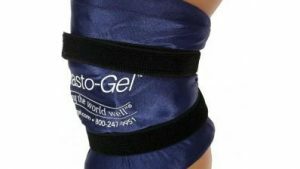 The Elasto-Gel will remain flexible even at -20 F. To help with chronic hand aches, utilize the Elasto-Gel as moist heat therapy. The heat increases blood flow, relaxes stiff muscles and melts away soreness. The mitten can be warmed-up in either a microwave or conventional oven. I have some nerve damage in my hand and forearm and cold seems to be the only thing to relieve it. This is been awesome to use to help with the swelling and pain of my neuropathy. It stays cold for about 30-40 minutes. Once the swelling is down with the cold, using the mitt for heat has been good to help with the nerve pain as well. Used for the first time today.. I would recommend it. gets fantastiaclly cold and covers everything, even the wrist! 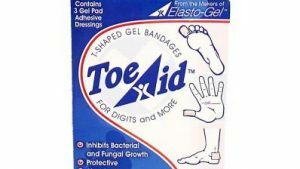 I used this to recover from some hand surgery and it worked well. In my experience the cooling component is much better than the heating. This material for the mitt or the wrap provides cool for about 30-45 min. It’s not as cold as a traditional ice pack but it’s also not as messy and it can be reused. Works great, gets really chilly. Fast delivery, product works great for what we needed. Works well for frozen hand for my husband excerise. I have RA in my hands and this gel mitt works great to relieve pain. I wish it stayed cooler longer but it is much softer and comfortable than my regular ice packs. these got warm as expected. But the wrist area was too hot my skin. I had to return them. If you don’t have sensitive skin on the underside of your wrists these may work for you. I love this for icing my injury at home. Q My husband has big hands is this glove one size? A It will fit his hand because it is one size, but has Velcro that will wrap around your wrist and is big enough. I have arthritis and it is the greatest ice treatment for it. It is better than any ice pack. I would strongly recommend it.